When the highest-rated player in an AAU program is not getting enough notoriety, it is even tougher for some lesser-known prospects to get the attention they deserve. That was the case for Cole Huff and Jeremy Lieberman, two players from Team Eleate, which is the travel team for 2012 stud Demarquise Johnson. Huff excelled alongside Johnson on the U-17 team, demonstrating his versatile offensive game. He is a 6-foot-7 swingman from Campbell Hall (Calif.), where he played with James Johnson (Louisiana Tech) and Austin McBroom. Right now, Huff holds offers from Drake and San Diego, and will visit San Diego State this weekend. Saint Mary’s and Nevada are also showing interest. “I think he could play at the high-major level easily, but I think he really might end up at a mid-major school where he can show his complete game,” Parks said. As for Lieberman, he is a name to jot down for the future. 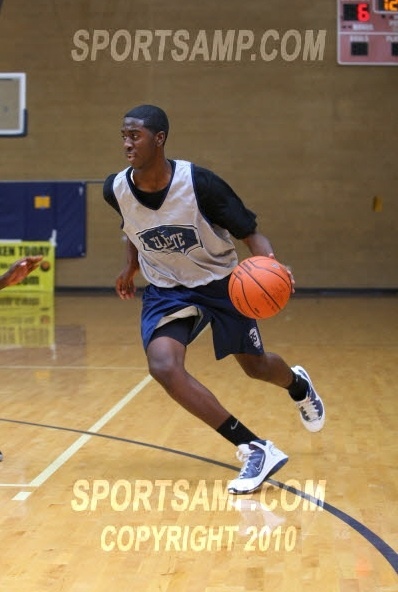 A prospect in the class of 2014, he received some attention due to his performance for the Team Eleate 16s in Las Vegas in July. The point guard will only be a freshman at Malibu (Calif.) this year, but he is already receiving plenty of college interest. According to Parks, Leiberman is hearing from Gonzaga, Arizona State, San Diego State and Saint Mary’s. He is most interested in Gonzaga and Arizona State, and will take an unofficial visit to Gonzaga in November when it plays San Diego State. SDSU is the team of former Team Eleate stud Kawhi Leonard, who was one of the best freshmen in the country last season. Parks is already comparing him to one of the more popular high school guards in the country.